Hankey Law Office > FAQs > What is the difference between short term and long term disability benefits? What is the difference between short term and long term disability benefits? In general, short term disability benefits are provided to individuals who are injured or become ill for a substantial period of time, such as a few weeks or months, but not permanently. Short term disability benefits provide injured or sick employees with a portion of their salary while they are unable to work. However, if someone is injured or sick and they are still recovering when their short term disability benefits end, they may be covered by long term disability benefits. These benefits provide employees with a portion of their income when they become injured or sick and are not expected to make a recovery within at least 12 months. Typically, long term disability benefits are provided when a serious illness or injury happens and the person is rendered unable to work indefinitely. If you or a loved one is in need of long term disability benefits, an experienced Indiana long term disability benefits lawyer can help you deal with the complicated paperwork and application process. 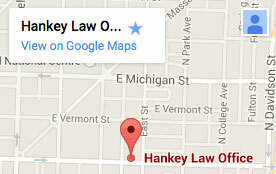 To speak with a knowledgeable attorney today, contact the Hankey Law Office, at (800) 520-3633.